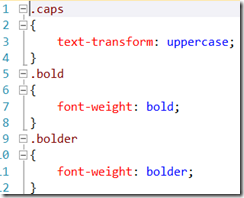 Just like all great experiments in Visual Studio, start up a File > New Project, and create a new MVC 4 Web Application. After you have the new project spun up, use the Nuget Package Manager to install the Bundle Transformer: LESS package. 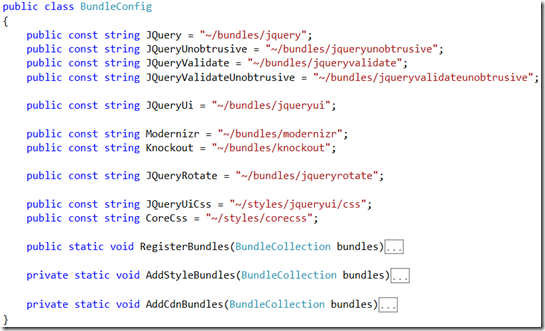 This will take care of installing the main translator that we will be using for LESS code (dotless which is another Nuget package), as well as the core framework for the Bundle Transformer library. The installation will come up with some instructions in a readme file on how to modify your web.config to handle all your *.less requests through the Bundle Transformer, which passes the translating onto dotless. Where To Put These LESS Files?! This step isn’t really a requirement, however I find that I don’t like how ASP.Net MVC just has a content directory where they store CSS, content images, css images…. 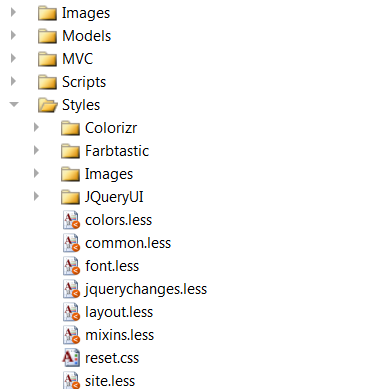 In my project, I went ahead and created a new directory just for styles – LESS files, CSS files, and images that are only referenced in LESS or CSS. I find that this layout offers the best separation of content types. 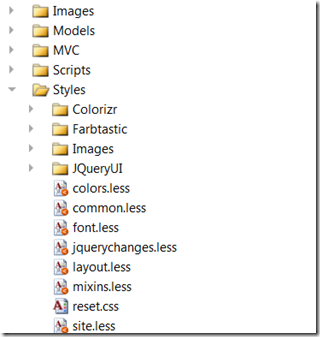 The next thing that we need to do is add in the necessary code for the bundling of these LESS files. 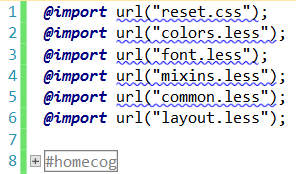 Go ahead and open your BundleConfig.cs file, usually located in the /App_Start/ folder of the project. 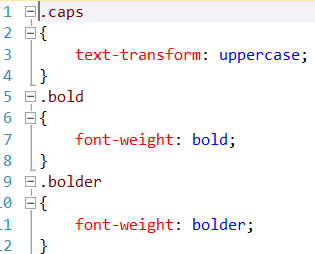 As you will see in a minute, instead of using the method Microsoft does in the base MVC 4 project, I change things up a bit. The main reason is that I hate magic strings in my program, so the fact that you first defined a virtual path in the BundleConfig file, and then used that path in the _Layout.cshtml file really irked me. That is all it takes to get all of my styles in play with LESS. The CssTransformer and NullOrderer types come from the Bundle Transformer we grabbed earlier. If we didn’t use that package, we would have to write our own function (not too hard, but why do it if it’s been done). 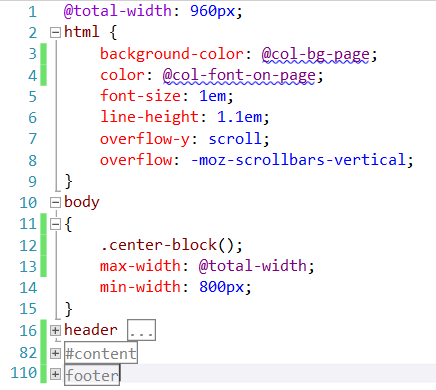 I use the site.less file as my main hub for LESS - I will cover that more in the next section. 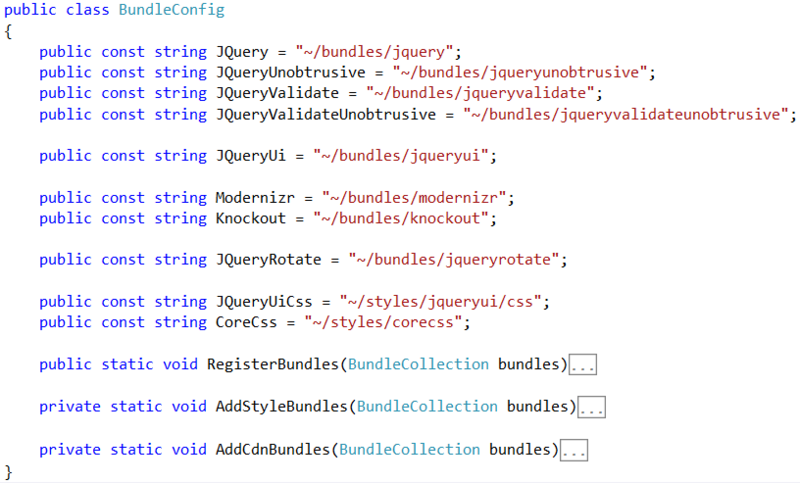 Notice here that besides the RenderSection magic strings (something I am working on in another side project), all of the bundles are now based on const strings. If I need to change the virtual path, I only have to do it in one place. Nifty! Here, you can see some of the standards I started to use, in this case for color variables. 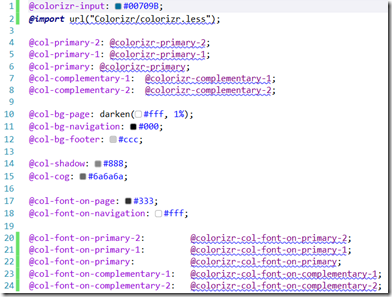 I define all color variables with the @col prefix. Currently, I am going for verbose variable names. Simple enough. 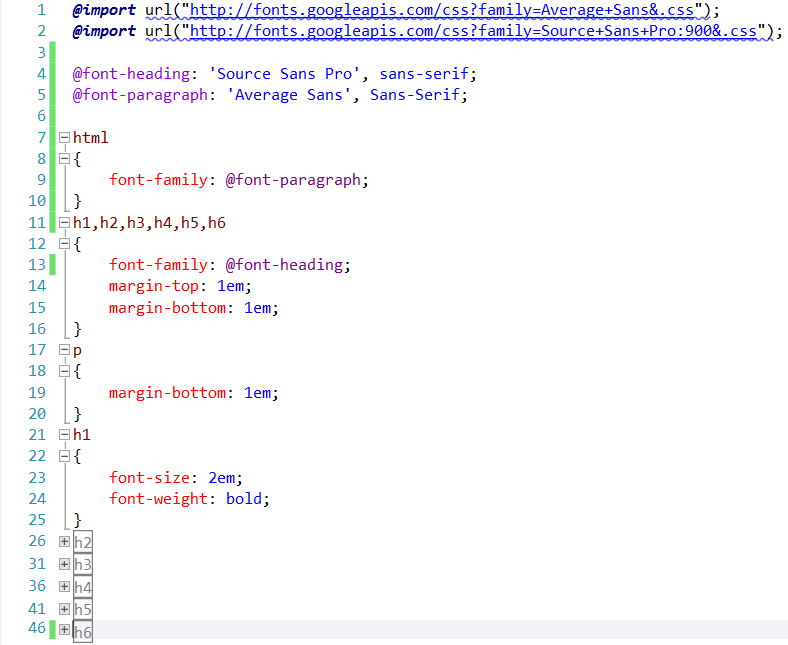 A couple of imports for fonts from Google, and then declaring variables for use throughout LESS. I also set up the heading sizes, margins, etc.. You can also see my current standardization for font declaration strings – @font. Probably my favorite side effect of using the LESS handler/translator while bundling is that it also does a CSS checkup when rendering… See, when your web.config is set to debug, bundling will output the url to the direct less file, not the bundle, and the http handler intercepts the call, compiles the less, and returns the result. If there is an error in your LESS code, the CSS file can be returned empty, or may have the error output as a comment on the first couple lines. If you have the web.config set to not debug, then if there is an error in your code, you will end up with the usual ASP.Net exception page (unless you catch the exception of course), with information regarding the failure of the conversion, such as brace mismatch, undefined variable, etc… I find it nifty. This is really just the beginning. LESS is very powerful and exciting! My next post will show an actual working example of why LESS is so powerful with its functions and variables… At least I hope it will! As for now, if you have any questions, comments, or suggestions on my current practice, I would love to hear them! Feel free to drop a comment or shoot me an email using the contact page. 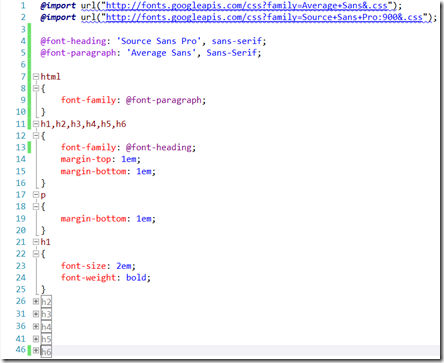 In the mean time, I plan on posting the final post in this series tomorrow or the day after, with my side project, as well as a whole base ASP.Net MVC4 templated project with LESS added in it so that you can check out the layout I have in this post.